If you’ve recently been injured or have been suffering from chronic pain, it’s a good idea to visit a healthcare professional for help. Many people choose to visit physical therapists for help because they are experts in the musculoskeletal system. This includes your bones, joints, cartilage, muscles and connective tissues — the parts of your body that are responsible for movement and support. If you live in Portage, Michigan, you have the opportunity to visit one of the Armor Physical Therapy clinics for treatment. We offer many treatment options to help reduce pain and improve recoveries. One of these options is electrical stimulation. At face value, electrical stimulation sounds like a scary term. We want to put your worries at ease though. It’s not a painful treatment. It’s actually quite the opposite. It is used to help treat pain and reduce tension and spasms in your muscles. 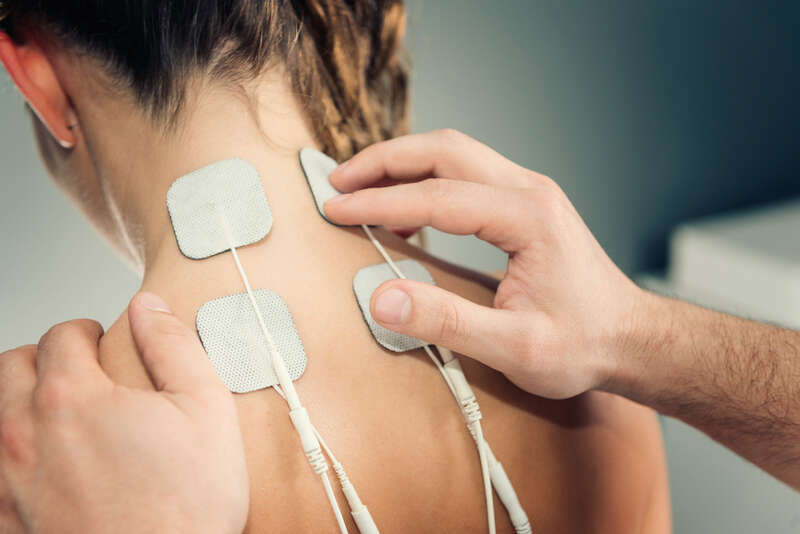 Your physical therapist will connect electrodes to the injured area. The other ends of the electrodes are connected to a machine that releases electricity at a controlled rate. Your therapist will release a small amount of electricity and you’ll feel some tingling. He or she will increase the rate until the muscles begin to contract. The machine is allowed to run on time cycles of contracting and relaxing the muscles until the session is complete. What are the benefits of electrical stimulation? Electrical stimulation can help people reduce pain and recover from injuries. Some injuries, such as a knee injury, cause the muscles around the knee to stop performing. This is the body’s way of protecting the injury from muscle usage. The problem with this, though, is that the muscles grow weak while the injury recovers. Electrical stimulation helps keep these muscles strong. Are you suffering from chronic pain or an injury? Would you like to talk to a physical therapist about electrical stimulation and other treatments? Contact our team today for more information or to schedule an initial appointment.